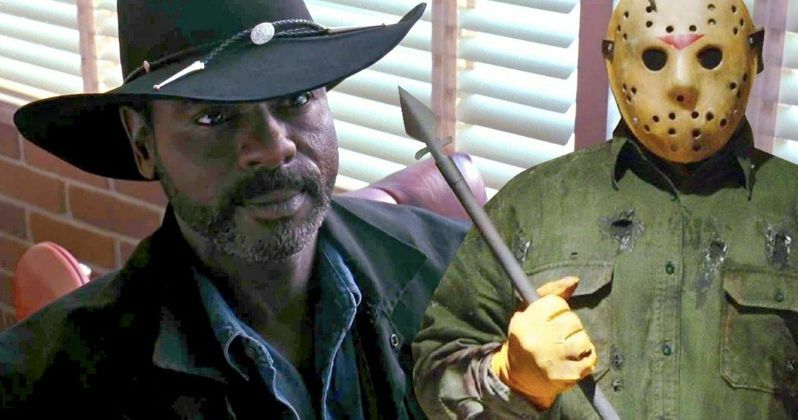 Jason Goes To Hell director Adam Marcus has an idea for a Friday the 13th spin-off that would put the focus on Creighton Duke. Duke was played by Steven Williams in 1993's Jason Goes to Hell. The Duke character was a bounty hunter with an amazing amount of knowledge in Jason Voorhees history and he sought out Jason with the intent to kill him permanently. Obviously, things didn't work out like Duke planned since Jason killed him, but he did have a hand in ultimately sending Jason to Hell. Jason Goes to Hell writer/director Adam Marcus recently discussed his ideas to bring a Creighton Duke spin-off to the masses, which has fans pretty excited. For the most part, the character's backstory was a mystery in the Friday the 13th franchise, but Duke had a very personal reason for hunting Jason Voorhees. Creighton Duke and his girlfriend camped at Camp Crystal Lake where he watched Jason murder her. After that moment, he dedicated his life to bringing down Voorhees permanently. Marcus thinks that now is an excellent time to revisit the Duke character. "I have a movie... you're the first ones I've talked about this to... that is a completely Creighton Duke-inspired movie. We're doing that next year. I can tell you that I'm talking with Steven Williams about this. I'm dead serious about this movie. It's something I've wanted to do for years. For me, that was the character that I gave a crap about. That's the guy that I adore. And, I'm tellin' ya, I have something up my sleeve that's gonna knock people out." Friday the 13th fans will probably be excited by the idea of a Creighton Duke-centered spin-off. There are so many ways that Adam Marcus can take the story, and while he won't reveal what his idea is, it will more than likely mean that Duke survived Jason Goes to Hell somehow. That will be a big hurdle to overcome, but it sounds like Marcus is pretty confident in the idea. It's also believed that the spin-off will not address Jason Voorhees at all, which would be pretty interesting to see how Marcus pulled that off. Adam Marcus wasn't specific about dates, but he expects to start work on the Creighton Duke movie next year, which means that we could end up seeing the Friday the 13th spin-off late next year or sometime in 2020. The franchise as a whole also has a major legal battle going on, so it could be even longer before we see Duke's story told on the big screen. It's been almost 10 years since we've seen a new Friday the 13th installment, so we're long overdue. While we continue to wait, you can see what Adam Marcus had to say about the Creighton Duke movie at Cinema Toast Crunch.